Charles Smiley has covered three decades of vintage Southern Pacific in this ambitious release. Much of the story features diesel power. Some of them are rare models. 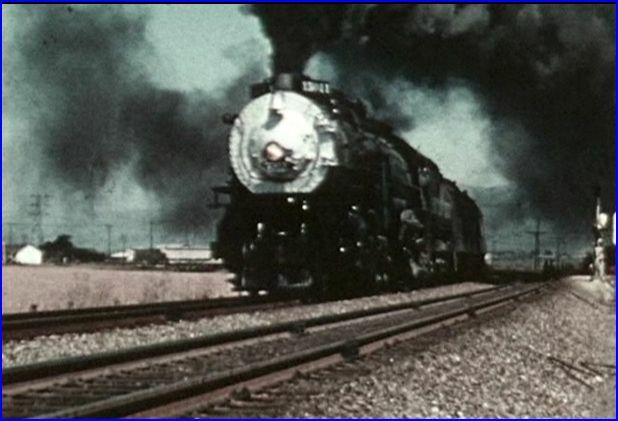 Steam locomotives are included, right through the 1950’s! Freight and passenger operations are both incorporated, within this freewheeling program. This show provides a cornucopia of Southern Pacific. 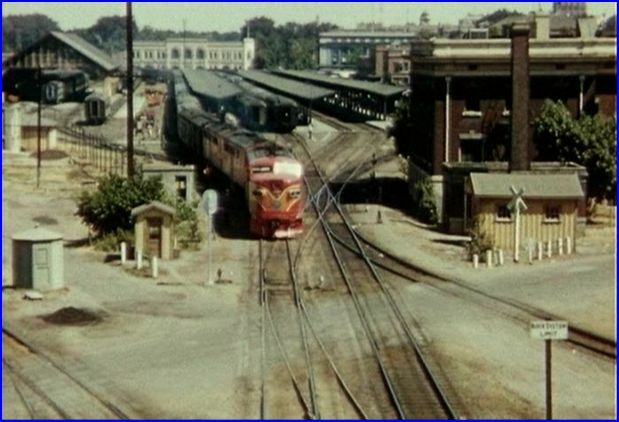 The 1950’s to late 1970’s time period, does contain what amounts to a treasure trove of classic railroading. Besides the three decades, consider that different eras are within this fine show. Even as locomotive builders come and go in the marketplace, the railroad is evolving. There are 26 film sources listed in the credits. Those films were on: 16mm, Super- 8 film, and 8mm. The vast majority of the footage is all color film. Some bits of black and white are used for completeness. As this was recorded over a near 30 year timeframe, the films do vary. Overall, the quality is in the excellent to very good range. The narrative is performed by Charles Smiley. He has that special gift of combining storytelling and education. Always a fascinating narrator, he conveys a plethora of information. The style of discussions are understandable to most anyone. Various subjects covered include: operations, locomotives, locations, routes, local history and more. Custom made maps are a Charles Smiley standard. They are plentiful, as we visit multiple locations and SP routes. Factory made DVD’s are glass mastered. These are very durable media discs. Viewpoints from all of the assorted sources provide an unending supply of train variety. We are way beyond endless runbys with a CSP show. There are interesting views shot from onboard some trains. Cities, street scenes,and SP facilities are viewed. Ferryboats are shown as they operated in the San Francisco- Oakland service, predating the bridge there. Cab forwards in snow service, at Donner Pass. San Joaquin Daylight passenger trains are hauled, in GS-4 led steam and diesel versions. San Jose- San Francisco commuter service, and those great FM Trainmasters get a nice feature. 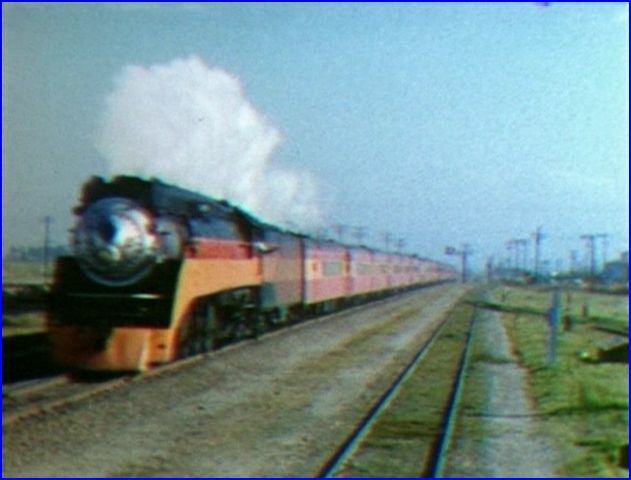 Steam films do include color footage. A few still photos are displayed. SP Vintage West is an action packed collection! A nice inclusion on the freight trains are the freight cars themselves. This is on the scarce side in vintage film. Cameras had limited running times. The cinematographers of the old days had to conserve their film. 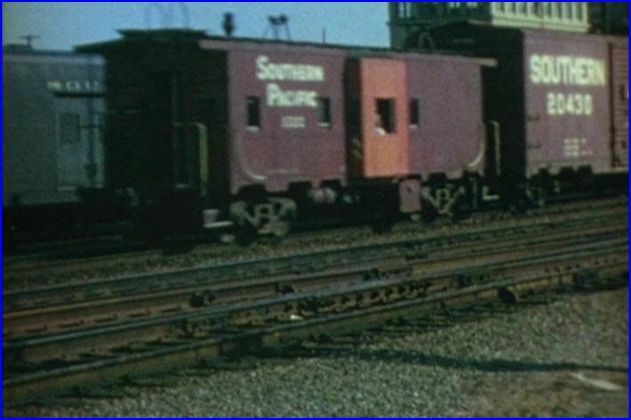 Classic freight cars are seen in some pleasing sequences. Paint schemes range from Daylight colors, Black Widow to Gray/ Scarlet. A few oddballs like: early switchers in orange tiger stripes, and Bicentennial paint play their parts. Diesel power is a prime area of interest during these years. Fairbanks- Morse has the hefty Trainmasters and H-12-44 switchers. Trainmasters are shown in Black Widow, and Bloody Nose livery. Alco checks-in, with the famous Daylight PA’s. Freight engines include big Century types: C628 and C630’s. 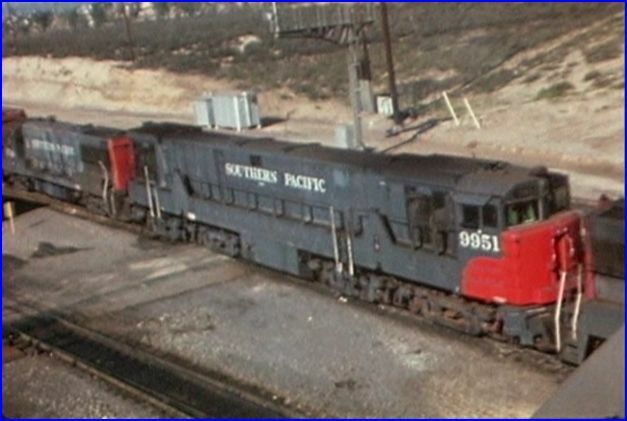 Roadswitcher class RS11’s were the very distant, GP9 competitor. 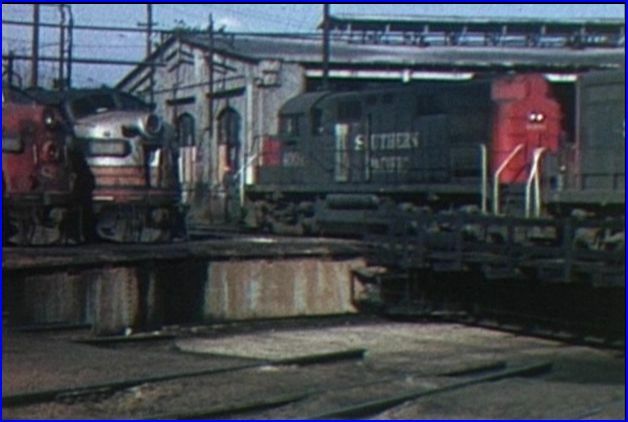 Switchers including S2,3,4,6 models were used by SP. A few examples from the S-class, are seen in the tiger stripes. Gray/ Scarlet replaces the previous paint in later years. Reflecting the real world SP operations, a few Baldwin diesels, do make some cameos. Kraus Maffei also get a few shots. General Electric stormed into the 1960’s market with the U25B. A behemoth GE-U50 dwarfs the U25B’s. Electromotive, aka: EMD is the dominant builder, with an assortment of models. F7, GP7, GP9, SD9, SW1 etc. 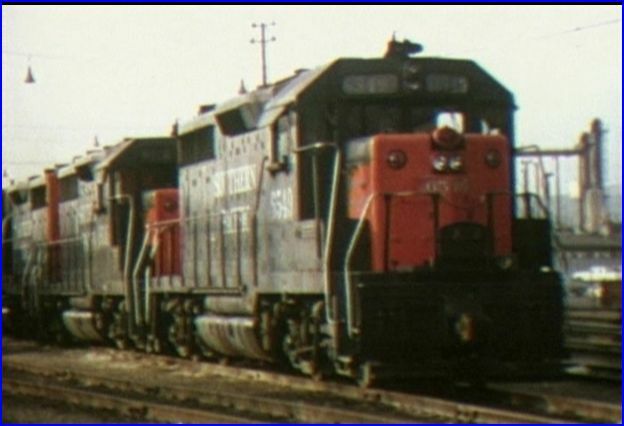 Second Generation as: SD38, SD45,GP35 ..
Venerable GP9’s get a feature. Black Widow and Gray/ Scarlet, sometimes in mixed lash-ups, parade past the camera. The Geeps can be seen mu’ed with old F7’s The SP rostered hundreds of F units. They get coverage in freight and passenger service. The normal aspiration can be heard in a variety of the F unit scenes. The horsepower race escalates through the 1960’s. Larger and more powerful engines appear, from the 3 remaining builders. Audio tracks are worth the admission. Natural sounds are matched to the many examples of locomotives. Intriguing, to hear the differences. Checkout the 567 EMD sequence with F7 engines.There is much detail-work, that has been invested in accurate sounds. On mixed lash-ups, the variation of engines, is apparent. Steam engines also have excellent sounds. Pieces of background music serve as brief interludes. An excellent soundtrack! The time flies by, as this show plays. Interesting, informative and enjoyable. Charles has produced a fine showing of Southern Pacific, in some classic eras. 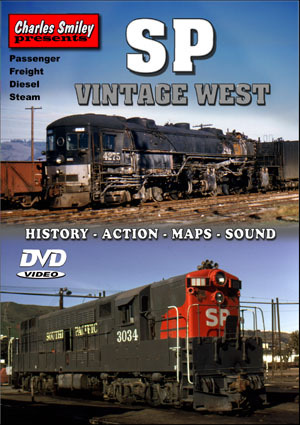 Southern Pacific fans need this SP Vintage West, as a must-see production. 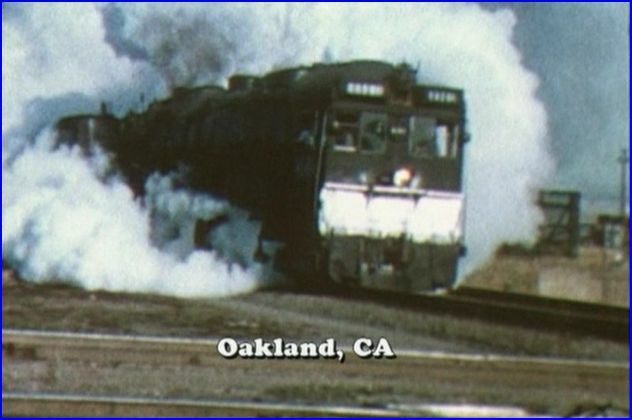 Any railfan with interests from the 1950’s to 1970’s, will find this a worthwhile show. Additional Charles Smiley SP releases do cover the road in specialized titles. 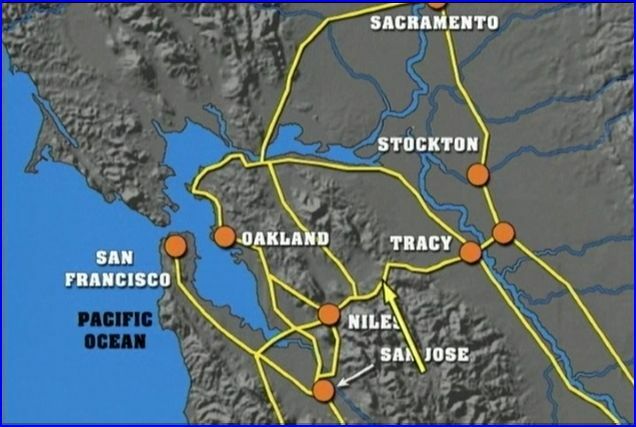 Many are geographically specific based programs. Others, like this one, have the emphasis on a set of years. Both styles are excellent formats to see Southern Pacific. You can enjoy and learn all about the SP from collecting the Charles Smiley Presents series. They all tie the SP together. 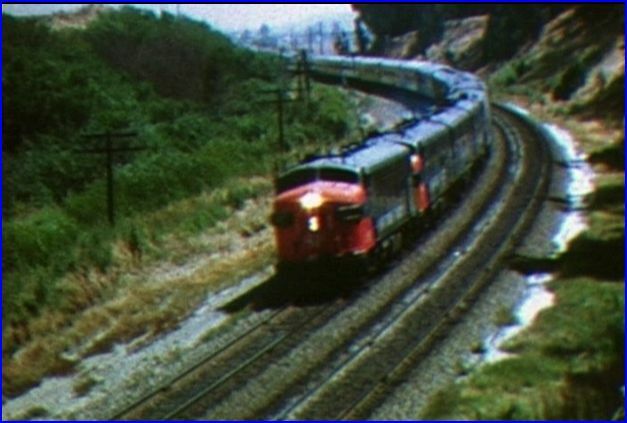 Vintage train enthusiasts will find this; an outstanding and comprehensive overview of Southern Pacific in California. If you want: a Charles Smiley Presents, Southern Pacific, Classic Steam or Vintage Diesel, this wonderful show does it all. Eureka! SP Vintage West , is a classic railroad era goldmine! 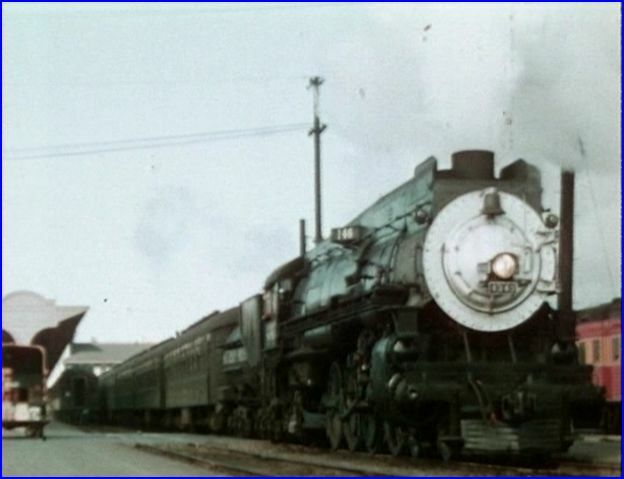 This entry was posted in ATVR Reviews, Charles Smiley Presents and tagged American Train Video Reviews, California, Railroad, Southern Pacific, steam train, tehachapi loop, Train DVD, train video, train video reviews, transportation by William J. Hudson. Bookmark the permalink. I’ve had this program for a few years, and being from the Midwest there is a bit of steam footage of local interest. 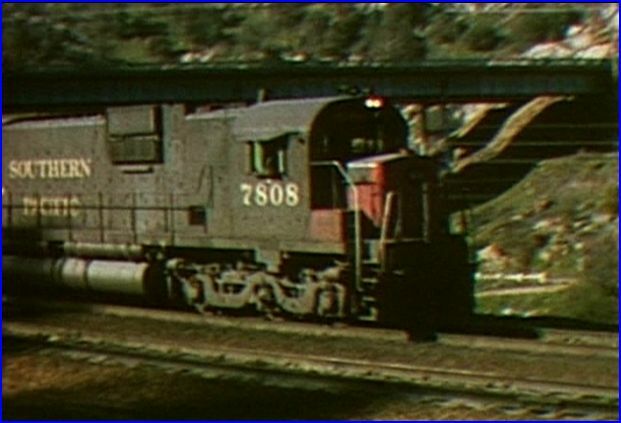 In the series of scenes of steam hauling commuter trains in California, look closely and you will notice that former Cotton Belt 4-8-4’s appear. Several of these engines, kin to restored #819 that operated in the 80’s and 90’s, were transferred west at the end of their careers. Seeing the former 800’s in Espee paint certainly made me do a double-take!